Smart card, passport and e-ID manufacturers will be able to integrate next level security features using a patented UV laser-technology thanks to the new LEXAN SD film overlay, a polycarbonate (PC) based material from SABIC, launched today at the Cartes Secure Connexions trade show in Paris. 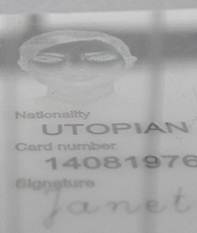 The demand for more sophisticated solutions to protect government ID cards and other related documents has led SABIC to pioneer the development of a PC material technology that enables customers to apply a ghost image into the card or document and create a tactile white marking which will fluoresce under UV light, all during the personalization phase, giving manufacturers greater flexibility in design. This highly transparent PC based film from SABIC, which will become available in gauges of 50 and 100 microns, is able to make the manufacturing process easier through a simplified integration of additional security features. Additionally, the product can be laminated using standard lamination parameters that are used to produce polycarbonate cards. SABIC will showcase its broad portfolio of LEXAN SD film solutions for electronic security documents at booth 4K 098 at Cartes Secure Connexions in Paris Nord Villepinte Exhibition Centre, held 4-6 November. Among other benefits, the low and controlled shrinkage of the LEXAN SD films allow manufacturers to use heat and pressure to join all layers together to form a card that cannot be pulled apart. These films are also ideal for different types of printing and security features as they can be screen printed, offset printed or even hot-stamped to integrate a hologram. Potential applications for SABIC’s portfolio of LEXAN SD films include electronic ID cards, government and police ID cards, passport data pages, green cards, and driver’s licenses. More information about SABIC’s Innovative Plastics business and the range of broad and relevant solutions it offers card manufacturers can be found on the website (www.sabic-ip.com). For technical product inquiries, please contact us at www.sabic-ip.com/prtechinquiry. Saudi Basic Industries Corporation (SABIC) ranks among the world’s top petrochemical companies. The company is among the world’s market leaders in the production of polyethylene, polypropylene and other advanced thermoplastics, glycols, methanol and fertilizers.